In a vain attempt to clear out my filing cabinet the other day, I came across a thick bundle of score sheets, chess games that I had played decades ago. Why had I kept them? I’m highly unlikely to re-play them. They are, of course, in the old notation: P-K4 P-QB4. The Sicilian Defence. Or as Magnus Carlsen played it in the recent World Championship match: e4 c6. Call me old-fashioned but I’m severely allergic to this way of writing down the moves. Like digital recording, the new notation is more efficient but soulless. P-K4 immediately switches on a picture in my head. For me, e4 is visually blank. For about 10 years, from 1949, when I was 15, I played competitive chess for school, university, county, Hampstead Chess Club and in a sprinkling of chess tournaments. In 1959 I got married and life intervened. I learned the game when I was 11 or 12 which is quite late. Sam Reshevsky, the Polish/American International Grandmaster, was giving simultaneous chess exhibitions when he was 8 years old. Bobby Fischer started playing when he was 6 and thought of nothing else thereafter. I found the game fascinating, totally absorbing, a world apart. 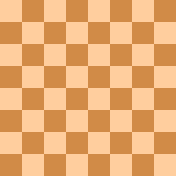 I remember lying in bed at night, staring at the ceiling onto which my brain had projected a board and the chess pieces. On this imagined chess set I played games in my head and in my dreams. It is a great time-waster. How many precious hours (which cannot be recalled) have I profusely spent in this game! O Chess, I will be avenged on thee for the loss of my time! … It hath not done with me when I have done with it. it hath followed me into my study, into my pulpit; when I have been praying or preaching, I have (in my thoughts) been playing at chess. I was warned that chess could become an obsession, could take over your life, could destroy your career, could even unhinge your mind. William Winter was held up as an example of one whose life had been ruined by an addiction to chess. He was a nephew of J.M. Barrie, a sometime radical who had spent time in prison for sedition and an International Master, winner of the British Chess Championship in 1935 and 1936. To me at that young age, he appeared as a romantic figure, a model to aspire to. After all he had beaten some of the greats, like David Bronstein and Aron Nimzovitsch. He ended up as chess correspondent for the Daily Worker, my Communist family’s newspaper of choice. There are worse fates. According to a report in The Sheffield Daily Independent, November 15th, 1921: William Winter (27) was sentenced to six months imprisonment for sedition. It was stated he advocated the collection of money for the unemployed from shopkeepers by threatening to break windows, the seizure of public buildings by force, the killing of constables who might try to eject them and the ejection of landlords who turned out tenants. He also said they should ‘drive the capitalists off their backs at the point of a bayonet’. Prisoner denied the charges and said he never used the word bayonet. I saw him once at the London Boys’ Championship in 1951 or 1952. He would have been in his mid-fifties but, in my memory, looked a lot older: gaunt, long straggly beard, shabbily dressed, and possibly — since alcohol was said to be another of his addictions — drunk. Afterwards, he published in the Daily Worker one of my games from that tournament where I played white against the French Defence. What excitement! His comment on the game was brief: “Black seemed lost here but his ingenious 30th move saved the situation.” I know this because I kept the cutting. If I had lost the game, I would, of course, have scrunched it up and thrown it in the fire. Why replay a bruised ego? challengingly. Beat that! Some slide the piece into position, lean back and look at you with a superior smile as Tal did in 1959, playing against the 16 year-old Bobby Fischer. Some reach for a bishop or a queen, then let the hand hover over the piece for minutes, glancing at you from time to time as if to gauge your reaction. Some get up and walk around after making a move; others sit fixed rigid on the chair, their eyes devouring the board. I played against all sorts of human beings over the years but, remarkably, never one who was female. In China young maids are taught chess; it is reckoned part of their education, so that it seems to hold the same place with them as dancing does with us. It used to be argued that somehow women’s brains were unsuited to the complexities of chess. It was the three Polgar sisters, especially Judit, who first knocked that idea on the head. Judit Polgar became the youngest International Grandmaster (sic) in 1991 at the age of 15, beating Bobby Fischer’s record, and has won games against the current world champion, Magnus Carlsen, and the former world champion, Gary Kasparov, amongst others. Hou Yifan, the Chinese chess prodigy, started playing at the age of 3 and in 2008, when she was 14, became one of the youngest grandmasters in history. In a 2017 tournament, she drew with Carlsen and crushed his recent challenger, Fabiano Caruana. The problem is that far fewer girls than boys take up chess in the first place so that it is statistically inevitable that there will be far fewer women chess players at the top level. For some players, chess is the beautiful game, ‘beautiful enough to waste your life for’, as the Dutch grandmaster, Hans Ree, put it. Or, according to Paul Morphy, it’s ‘the philosopher’s game’. Others see it as a form of war. ‘Chess is ruthless. You’ve got to be prepared to kill people’, said Nigel Short. I suppose that’s to be expected from an admirer of Margaret Thatcher. Bobby Fischer expressed it even more brutally: ‘Chess is a war over the board.The object is to crush the opponent’s mind.’ So perhaps his unpredictable, at times bizarre behaviour was a form of psychological warfare to undermine his opponent’s confidence. He claimed that he didn’t believe in psychology. ‘I believe in good moves.’ But it’s difficult to see his behaviour before and during his celebrated championship match against Boris Spassky as anything other than a series of mind games aimed (successfully, as it turned out) at unsettling the title holder. When I was in Israel at the end of the 1950s, I paid a visit to the chess club in Tel Aviv. I think it was named after Emanuel Lasker, world champion from 1894 to 1921. I’d never realised that Lasker was Jewish. The club, I remember, was near the sea shore. I wonder if it still exists. The club room, when I entered it, was thick with people and heavy with smoke. And rather than the hushed silence expected of a chess club, there was a babble of conversation interspersed with bursts of singing, all in a babel of languages. I thought at first that there was a party going on. I was offered a game by a stocky blonde man who turned out to be Polish. He speaks broken English and not very good Hebrew. When it is my turn to move, he asks me questions: how long have I been in Israel? what am I doing here? how long will I stay? I try to concentrate on the board. He tells me about his hard life in Israel, but only when it is my move. ‘Everything is money, money, money,’ he says. I resist the urge to tell him to shut up. Sometimes he sings in a rich baritone voice Polish folk songs. When he thinks he is winning, the songs become more dramatic, more noble. He is a Polish prince, riding through the dark forest, spear aloft, ready to defend the Fatherland. When his position deteriorates, his voice becomes weak and off-key. Through the smoke-filled air float fragments of synagogue chants, extracts from Russian opera, a sad song in Yiddish, an Israeli pop hit… There are no inhibitions. This is gamesmanship run riot. I never went back. Years later, the memory of this chess game sparked off a short story. 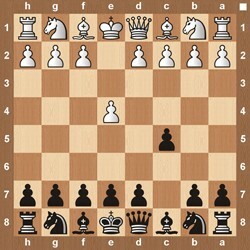 It includes an invented game which you can follow if you have a chess set handy. It’s called Smothered Mate. But that’s for another blog.